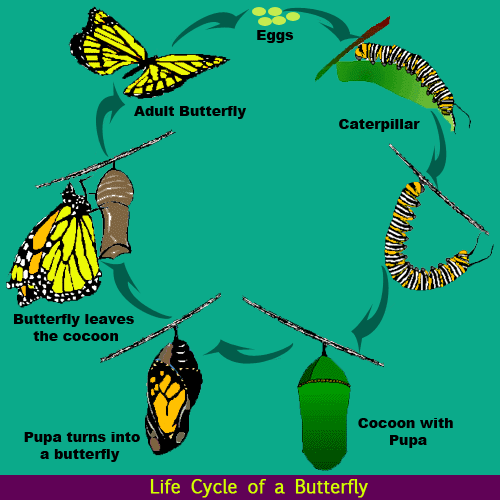 Life cycle of a butterfly consists of four main stages. This means a butterfly goes through four stages of growth from egg to adulthood. This type of a process is known as Metamorphosis. A butterfly starts its life as an egg, laid by a female adult butterfly after mating. Butterfly eggs vary in size and shape, but most are surrounded by a protective hard shell. A caterpillar develops within the egg and then eats its way out of the shell. 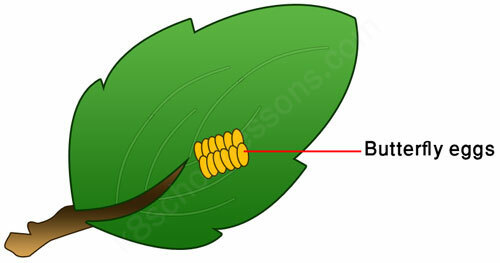 This stage of the butterfly’s life cycle is also called larva. A caterpillar spends all its time eating. As it grows, the caterpillar becomes too large for its skin and molts (sheds its skin) to make new skin. 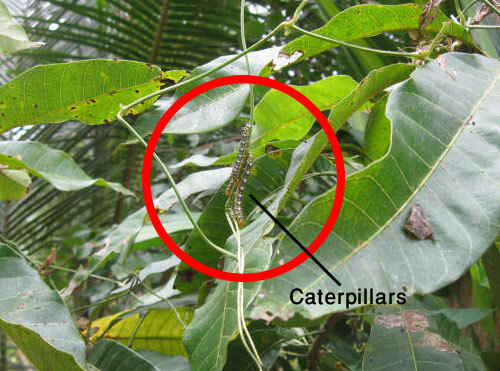 Depending upon the type of butterfly, caterpillars molt four or five times. When the caterpillar reaches its final size it stops feeding. The caterpillar wriggles and twists to gradually remove its old skin, revealing a new protective skin called cocoon. 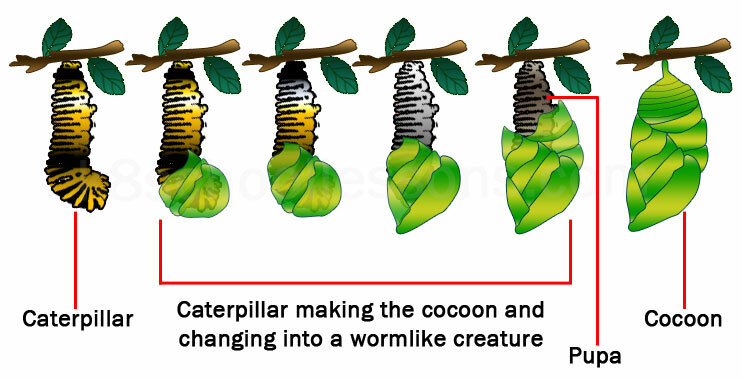 Inside the cocoon, the caterpillar changes into a wormlike creature called pupa. 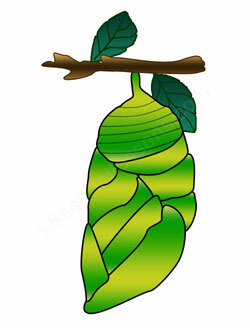 When the time reaches adulthood, the pupa changes into a butterfly and leaves the cocoon. It pumps blood into its wrinkled wings and expands them to their full size before flying away. Now, click here to try the quiz on butterfly life cycle.